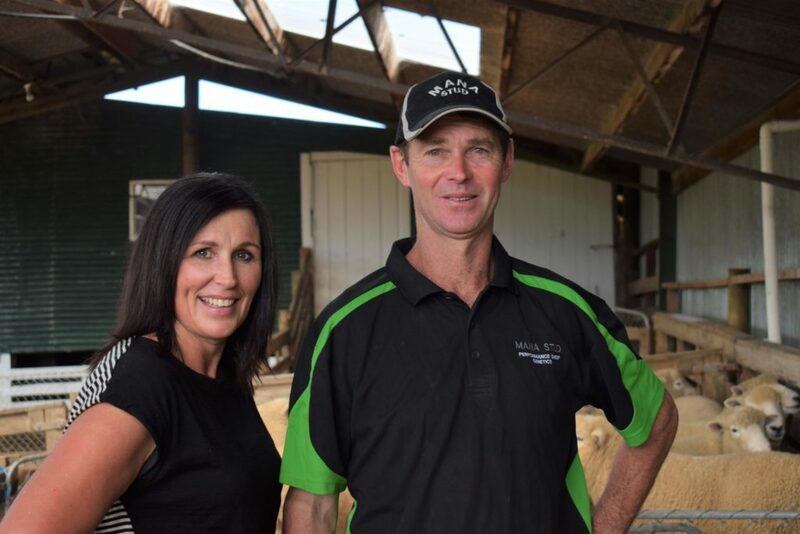 Offering up their 30 elite Romney rams at the annual on-farm auction shows Malcolm and Selina Wyeth of Mana Stud really back the stud’s genetics. Tuesday’s sale attracted a strong crowd of farmers and agents. Selina and Malcolm of Mana Stud. 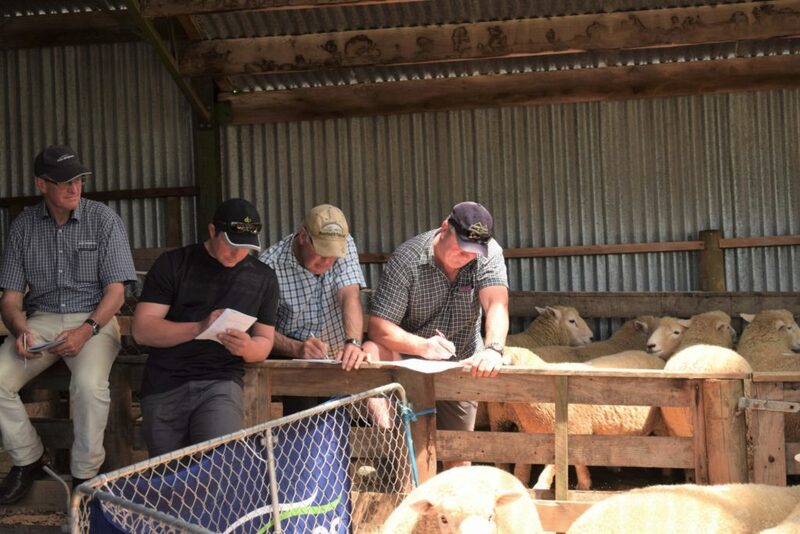 Fourth generation Romney breeders on the Gladstone family farm, Malcolm and Selina Wyeth are now one of few Wairarapa ram breeders who sell their flock’s progeny at an annual on-farm auction. The couple have been achieving top prices for their elite stud rams and continue to do so when they held their second sale recently. Mana Stud is a 400ha property run on the Maungaraki Hill country, with the addition of a Wainuioru farm purchased in 2008 to expand the operation. The stud was purchased from Craig Gibson in 2000, who at the time was regarded as one of New Zealand’s leading breeders. Gibson was a strong advocate of computer technology, and producing outstanding stock with strong performance figures, and since the purchase, the Wyeth’s have continued that reputation. The Wyeths married in 1999 and have two children, Hunter, 16 and Tessa 13, who are both active on the farm. Selina, who is originally from the Hutt Valley, said she couldn’t imagine living anywhere else. While she works part-time at Masterton Primary School, the farm is run by the whole family. “Family time for us often happens on the farm, we all play active roles in day-to-day farming operation,” Selina said. Malcolm is considered a young breeder in the industry, but he is the immediate past president of Romney New Zealand council. 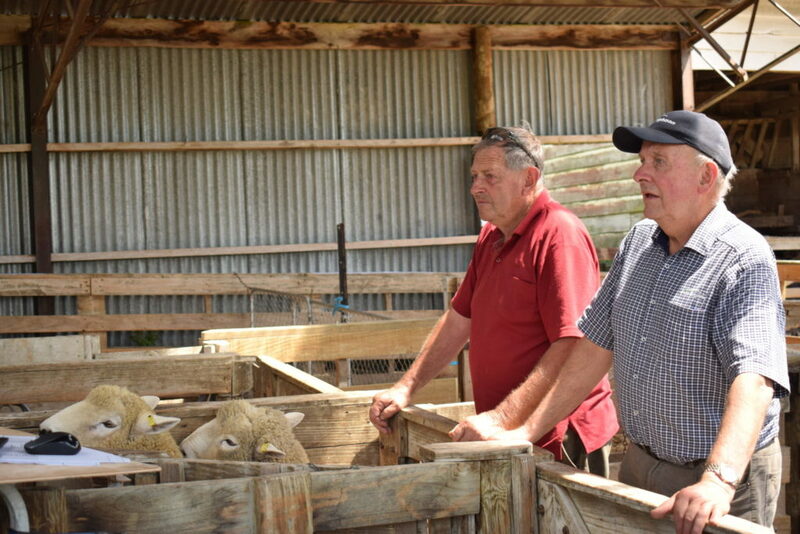 The couple were active sellers for 20 years in the North Island Romney Ram Sale held in Feilding. However, in 2015 the sale came to a halt and the couple opted to sell their top 30 stud and commercial rams at their on-farm sales. The balance of the commercial rams are sold privately on farm. “This gives all potential buyers the option to buy every ram,” Malcolm said. In 2014, the Wyeths introduced Facial Eczema [FE] genetics to the stud to increase tolerance. While the Gladstone stud do not have issues with FE in their environment, they sell to clients in FE prone areas. Mana Stud also offers Romdale Rams [Romney/Perendale], Suffolk, and Suff/Tex Rams [Suffolk/Texel] for sale. Malcolm took on the other breeds due to demand from clients. The Wyeths say their supportive client base is what keeps their long-time generational farm going. “Our client base consists of many long-term loyal clients along with new clients each year,” Malcolm said. The optimum result of the ram sale is to sell all 30 rams on the day, the Wyeths say. While that was not the focus on Tuesday, all elite rams up for auction were sold. A scratch of the nose or rise of the eyebrows were the stealth moves deployed by seasoned bidders at the Wyeths’ Mana Stud sale on Tuesday. 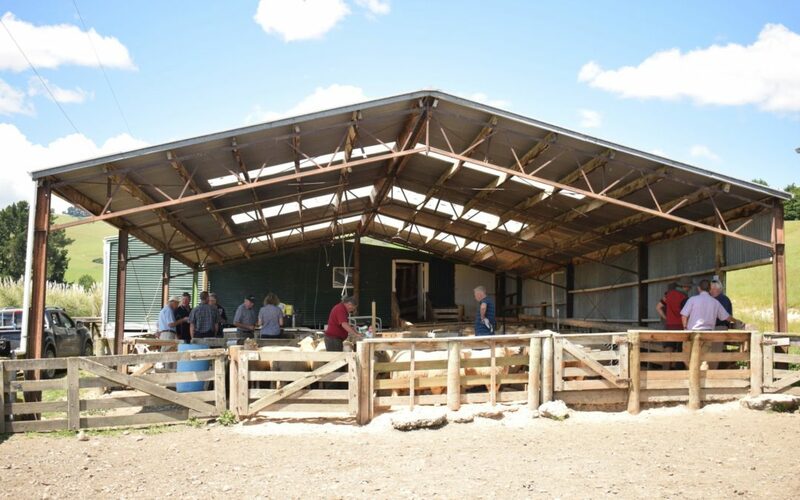 The warm afternoon sun bore down on the Mana Stud woolshed as farmers and agents studied their potential purchases — an hour was allocated for inspection, to study the data, percentages and appearance of each ram. Farmers, agents and those just looking during the sale. 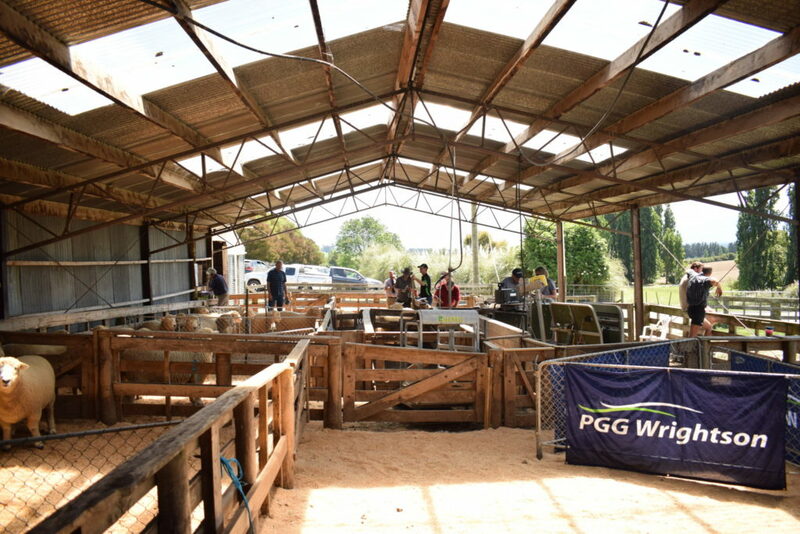 PGG Wrightson auctioneer Brian Diamond said the 30 animals were “high-ranking rams”. Purchasers were given the option of buying a ram for stud breeding purposes from the outset of $3000. If bids were not received, that price was dropped to $1000 for commercial buyers to come in, Diamond said. 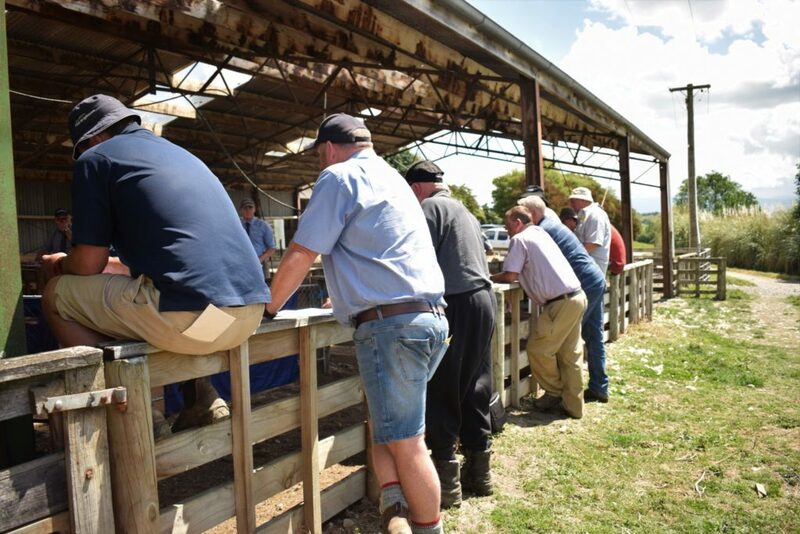 Not many breeders host an on-farm auction, he said, “you have got to back yourself and your product”. There was no mucking round as Diamond kept a steady pace for bidders during the hour of the auction. The top bid of the day was $3200 to Min Bain of Waitahuna, south of Dunedin. While the price didn’t top the stud’s top sale of $10,000 in 2011, Malcolm was happy with the prices achieved. The stud had four new buyers on the day, which was a good result coupled with their returning clients. 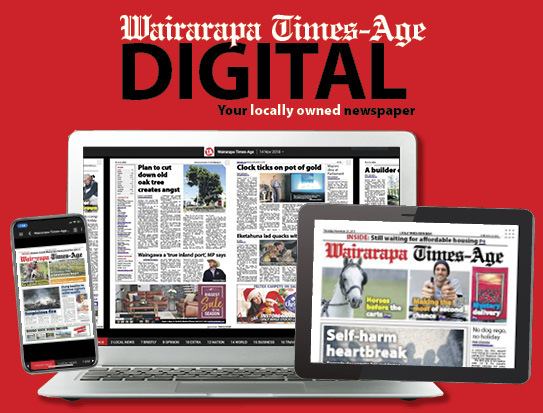 “Top price varies from year to year, it just depends on if you have two people wanting the same animal at auction, it makes a huge difference,” Malcolm said. Strategy is key when it comes to bidding, Selina said. Over the years she has witnessed the tricks of trade seeing bidders go head-to-head for a ram only to be disappointed. Typically, after the sale, any unsold rams get snapped up by those who missed out. Five stud rams were sold, with the remainder going to commercial buyers. Malcolm’s father Warren Wyeth and Barry Todd penning up at the sale. Malcolm said he doesn’t typically feel nervous as the rams go under the hammer, but he was “very pleased with the way it went”. 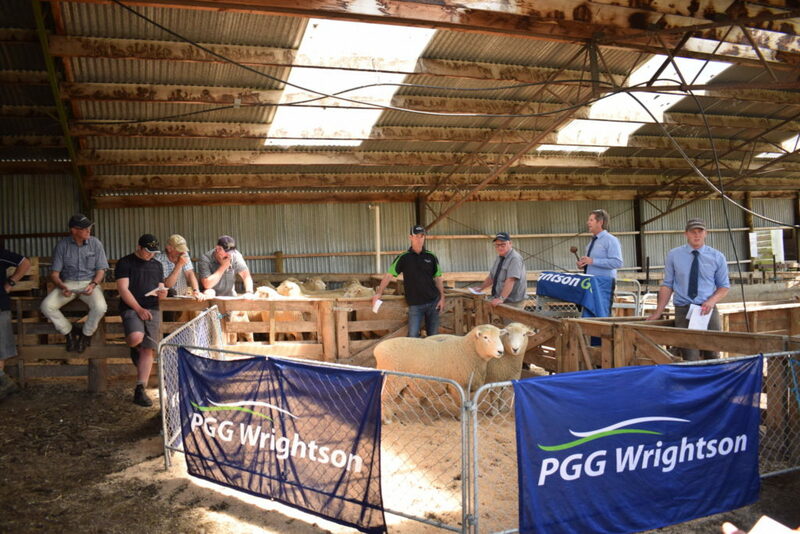 Purchasers had come from Central Plateau, Manawatu and King Country, plus a handful of Wairarapa buyers. Malcolm said the top prices achieved started the selling season strong. “Optimum result of selling out on the day and having happy clients is the goal and we have some really loyal repeat buyers which is why we do it,” Selina said. Malcolm thanked everyone who had travelled long distances to attend the sale. He also thanked his wife for her support and providing her famous homemade scones and lunch for the purchasers. 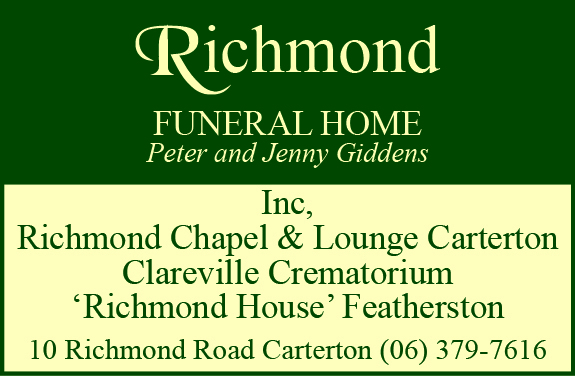 This article is part of the rural series, ‘Beckie’s Block’, in each Thursday edition. Three buyers weighing up their chances. The Mana Stud on farm ram sale.